 In 2018, the Canadian car market continued its inexorable shift away from conventional cars and even further towards light trucks; over 70 per cent of the new vehicles sold last year were not-cars, and the fastest-growing segments were luxury SUVs – of any size. 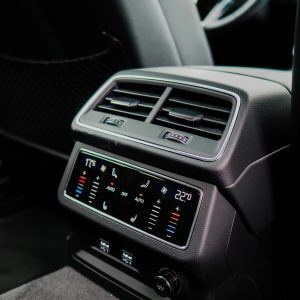 The compromises you used to have to accept with SUVs – lumbering handling, poor fuel economy, and high running costs – aren’t there anymore, and our aging population loves the ease of getting in and out of a taller vehicle. Despite all of this, there are still plenty of reasons to want a car over an SUV. While trucks’ handling has improved by leaps and bounds over the last few years, a lot of extra hardware (and a lot of extra weight) is still needed to make a SUV handle as well as a car. Tougher suspension, together with taller bodies and and the bigger engines needed to haul them around, have a commensurate effect on fuel consumption. And while ease of access might be better in an SUV, the overall level of practicality isn’t actually better; a good wagon or hatchback can carry just as much, and pack it all into a much sleeker silhouette – one that doesn’t look like you’re perennially on your way to soccer practice. If it’s a combination of sleekness and hatchback practicality you’re after – and you’re shopping for something premium – your choices are better than they’ve ever been. 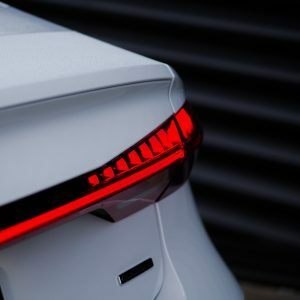 Porsche has several grades of Panamera to choose from, Mercedes-Benz has just launched a four-door AMG GT (in addition to the CLS, which is sleek, but has a less-practical trunk), and Audi has just launched a new A7, the car we’re talking about today. In terms of history and mindshare, the A7 argubaly owns the big premium hatchback market. 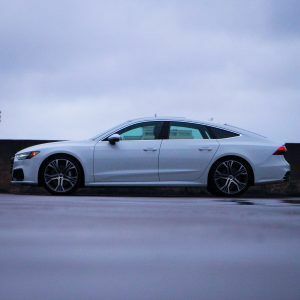 While Porsche beat it to market with the Panamera by a year or so, it was the Audi that really demonstrated you could combine big-sedan roominess, hatchback practicality, and a smooth, sleek profile into an appealing package. The latest A7, launched late in 2018, builds on that heritage with pretty much more of everything: more space, more luxury, more technology, and more importantly, an even prettier package. 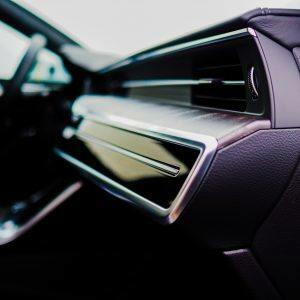 Sharing much of its componentry with Audi’s latest-generation large cars, the A6, A8, and Q8, the A7 may have more available screen real estate than anything on the market this side of a Tesla. Crack the pillarless door open, and you awake a fully-virtual instrument cluster, a giant touch panel on the upper dash for infotainment functions, and a second touch panel on the console for climate control and text input – gone is Audi’s trademark MMI click wheel and its surrounding function buttons. While I’m not generally a fan of touch screens (my fastidious side hates fingerprints, and I prefer the positive response of a physical button or knob while on the move), Audi’s are about the best out there. They are big and bright, and the virtual “buttons” are big enough and logically enough arranged that you are soon able to use them by memory, and a subtle haptic response works as confirmation you’ve hit your mark. 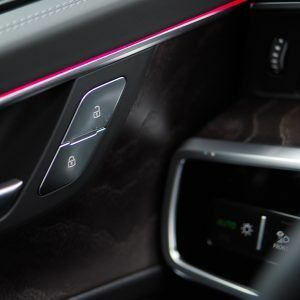 In the end, I’d still prefer switches – but the advantage of touch panels is that subsequent software updates can add features without requiring extra hardware. Why all this time dwelling on the screens? 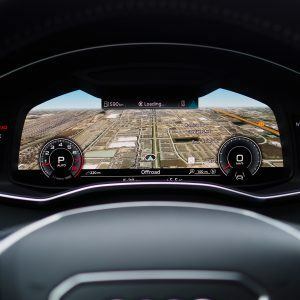 Because these days, they define the overall user experience as much as the way the car actually drives – particularly in a car as packed with tech as the A7. The one I drove had pretty much every driver assistance and optional tech feature known to man – but thanks to their seamless integration, and the overall responsiveness of the systems, the car still works like one seamless, cohesive thing – even when you add the mechanical bits into the equation. 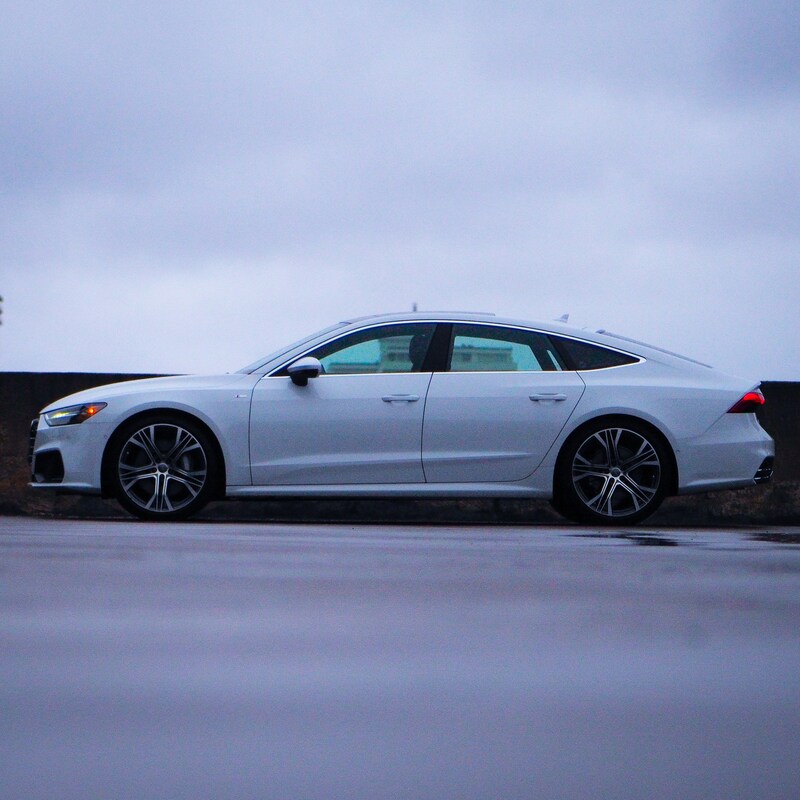 Seamless and cohesive is actually a fairly accurate description of how the A7 drives. 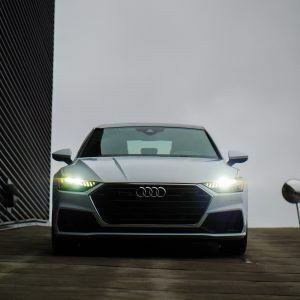 Yes, there’s a 3.0-litre turbocharged V6, producing 335 hp; yes, there’s a snappy eight-speed automatic and Audi’s legendary quattro all-wheel drive; yes, 0-100 km/h takes just 5.3 seconds. But mostly what you notice is that there’s not much to notice: under pretty much every driving condition, the A7 is so quiet, refined, and smooth that it feels almost electric. 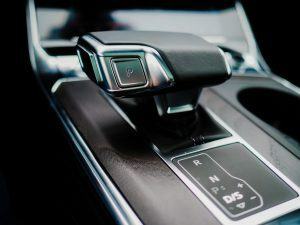 Dial up the dynamic setting on the (haptic) Audi drive select system, and you get some piped-in engine noises, the suspension stiffens up, and the shifts get a bit more kick, but this is very much a luxury car first. Which is not to say the A7 isn’t capable. 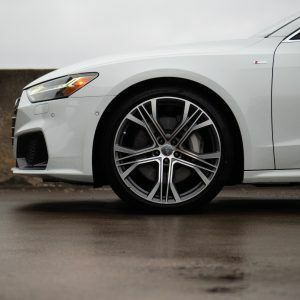 In fact, thanks to its all-wheel drive, sophisticated chassis, and (on my S-line) huge tires, it’s an immensely secure and easy car to drive at any speed in almost any condition. 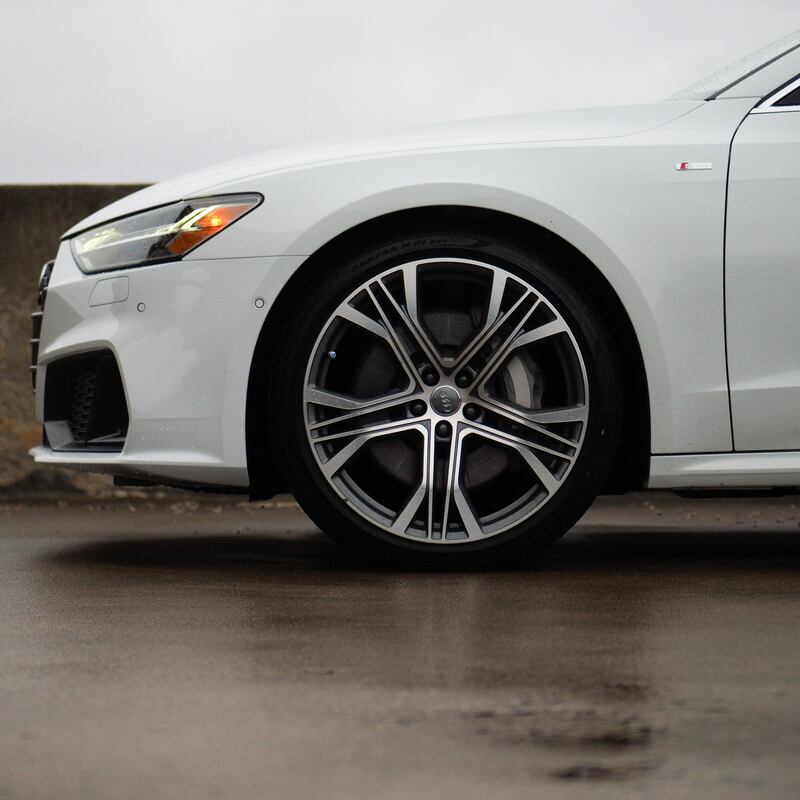 Thanks to its seamless integrationwith the tranmission, the turbocharged six doesn’t feel turbocharged, just delivering power and torque everywhere. There’s seemingly endless grip from the chassis, the brakes are strong, and cornering is stable and flat no matter what the condition. 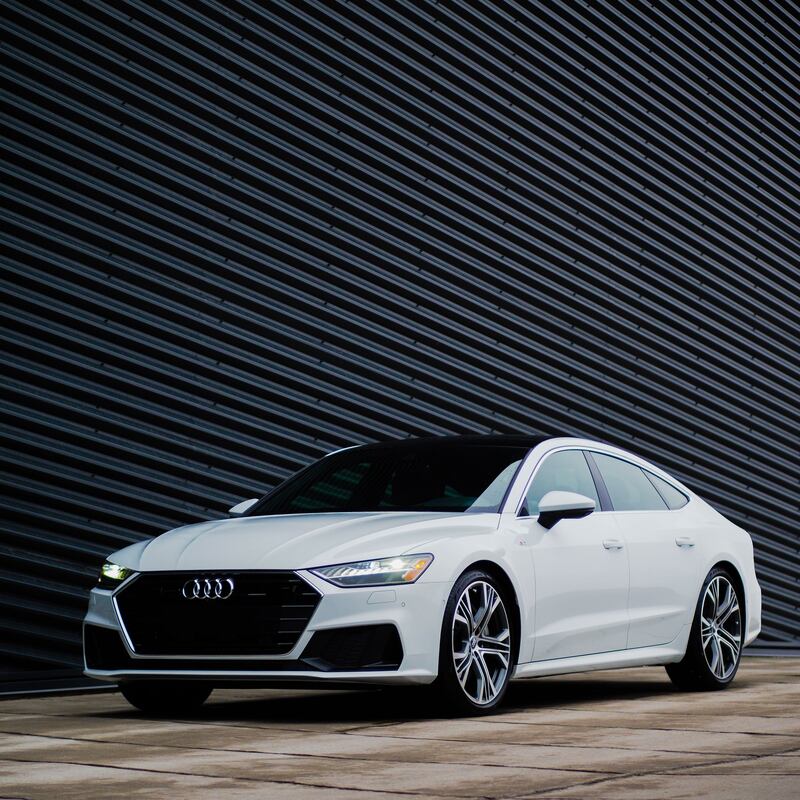 Sports-car enthusiasts will hope for more feel from the controls, but for most drivers, the A7 is a beautiful drive – fast, smooth, and easy, and impressively fuel-efficient, too, given its size and weight. As for the luxury bit – well, it’s an Audi, and meets every expectation you’d have of one starting at almost $80,000. The build quality is impeccable, the materials are spectacular, and you could spend hours adjusting the LED accent lighting and screen options to your exact specifications, if you want. Despite the presence of all those screens, there’s a calmness to the interior design that feels almost Scandinavian, thanks to simple shapes and materials that are what they look like: metal trim is actually metal, and the dark, open-pore wood on the dash, doors, and centre console is beautiful to look at and touch. Alone amongst the high-end Audi cars with its hatchback, the A7 is also impressively practical. Front- and rear-seat space is limousine-level luxurious, with space to stretch out in every direction, and numerous and useful cubbies and storage comparements. Flop the rear seats down and you have more usable space than you’d get in a Q8, at a lower lift-over height. 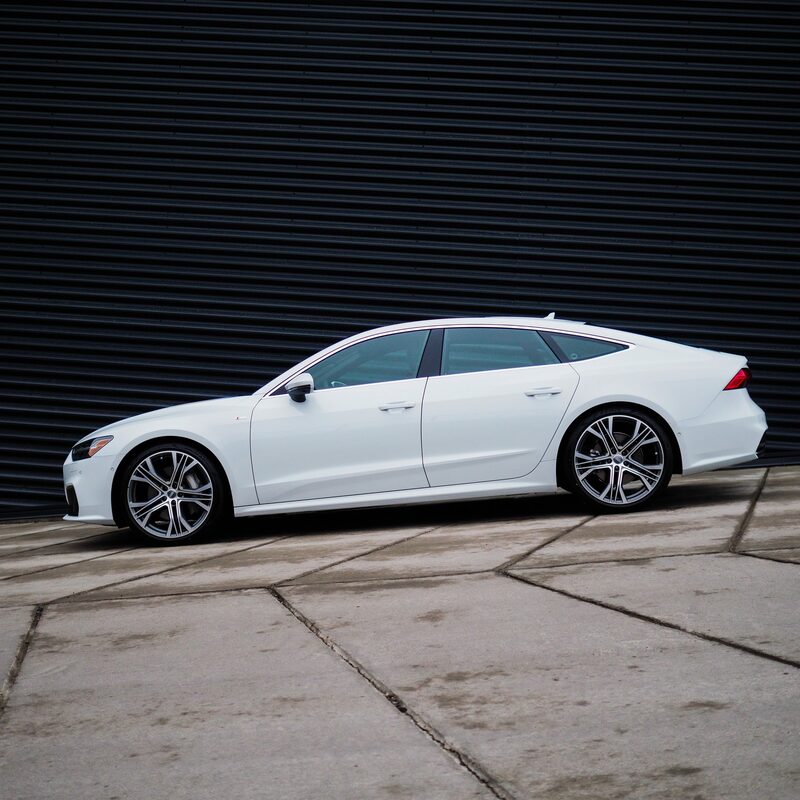 Despite the spacious interior, long wheelbase, and big body, the A7 is surprisingly easy to wheel around town thanks to a tight turning circle, abbetted by four-wheel steering if you’ve specced the dynamic package. 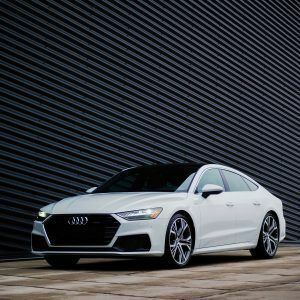 Fully kitted, with an S line sport package, 21-inch wheels, adaptive air suspension, and more, the A7 I drove closed in on $100,000, which is a lot of money – but it’s also a lot of car. A similarly-equpped Q8 would cost roughly the same, providing roughly the same amount of space, albeit in a taller, more upright package. 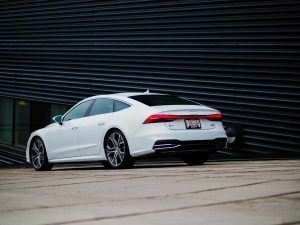 Like the A7, it’s a seamlessly refined, secure, and confident car to drive, but it loses out in the fuel consumption and fun-to-drive categories. 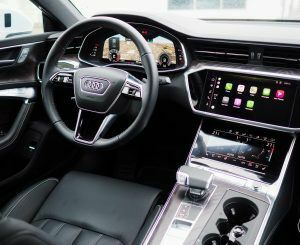 The market says most people shopping in that price bracket, faced with the choice, would pick the Q8 – but rest assured if you’re into cars that the A7 is an equally, if not more, compelling choice. Visit our dealerships in Newmarket and Vaughan to learn more and test-drive the A7.